This tutorial from Kitelife.com breaks down the basic method for "rodeo style" flight on most indoor dual line sport / stunt kites, wherein the pilot steers with one hand and drives the kite using a lariat or lasso type motion including the potential to fly "underneath". You can look forward to a growing collection of similar tutorials covering equipment, flight techniques and other "pro secrets" gathered from over 20 years in the kiting community... A number of them will be available here on YouTube, while the majority of these tutorials will be located in the Kitelife Subscribers section, be sure to subscribe today if you like what we're doing here! Another in an ongoing series of Kitelife Magazine tutorials for using Revolution quad line kites, this installment provides a thorough step by step introduction to the execution and theory of the traveling bicycle maneuver. NOTE: A reliable (and free) cross-platform video player is VLC, which should work with any file format including MKV. Another in an ongoing series of Kitelife Magazine tutorials for using Revolution quad line kites, this time introducing some rotation-oriented drills that may help refine your precision. NOTE: A reliable (and free) cross-platform video player is VLC, which should work with any file format including MKV. 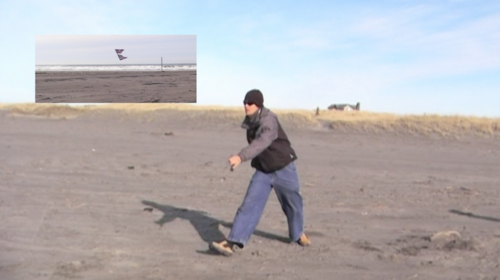 Another in an ongoing series of Kitelife Magazine tutorials for using Revolution quad line kites, this installment provides a thorough step by step introduction to taking your kite across the water and under the surface. More info about water flying can be found here - http://www.kitelife.com/hydro NOTE: A reliable (and free) cross-platform video player is VLC, which should work with any file format including MKV. Another in an ongoing series of Kitelife Magazine tutorials for using Revolution quad line kites, this one detailing the methodology and technique behind clockwork control. NOTE: A reliable (and free) cross-platform video player is VLC, which should work with any file format including MKV.